There are 20 stunning holiday cottages in our collection, all of them located in or near Winterton-on-Sea in Norfolk. All of our cottages are handpicked for their great locations and access to nearby facilities and fabulous Norfolk beaches. Our cottages range from a cosy traditional fisherman’s cottage which is perfect for a couple, to large houses with spectacular sea views. We even have a house with a hot tub. Each cottage is beautifully furnished and well equipped for a comfortable stay. If you're not sure which cottage is best for you just ask and we can help. We know each property inside out and because we're a local agency based in Winterton, we can help with advice on where to visit and eat out during your stay in Norfolk. 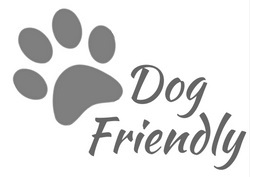 Many of our cottages are paw-fectly dog friendly with fully enclosed gardens, and some will accept two or three dogs. There are literally miles of walks right on the doorstep without having to drive anywhere and Winterton beach is dog friendly all year round. Please check each cottage for details of dogs allowed as it varies. Available to hire for a limited number of dates during the year, the ground floor of Cleveland House offers luxury accommodation for a couple. The house is hidden away in the heart of the village yet only 5 minutes walk from the beach. Guests renting the ground floor only will have no access to upstairs during their stay, and nobody else will be staying at the house. The whole of Cleveland House including the upstairs bedrooms sleeps 10 and can be booked on a separate listing. Do you own a Holiday Cottage in Winterton-on-Sea? Letting your holiday home can be very enjoyable as well as financially rewarding. If you are already letting your cottage, are you getting enough bookings? We are currently adding more properties to our range of unique holiday homes and would love to hear from you if you have a beautiful cottage or house that you would like to let. We are a local agency with local knowledge and care about our owners. Contact us by email or give us a call on 01493 800645 to find out more.